Think of it as the effective “anti-bonding” agent. Brush this polymer emulsion onto surfaces that you don’t want to bond to (pontics, crown exterior, gingiva, proximal teeth). Forms a flexible plastic film – just 20 microns thick. Blue color lets you see what you’ve covered. Water soluble and washable for quick and easy clean up. A convenient and easy-to-use brush-on separating film. Simply brush this polymer emulsion onto surfaces that you don’t want to bond to (pontics, crown exterior, gingiva, proximal teeth) prior to the procedure and it will form a flexible, protective, plastic film 20 microns thick. The blue coloring makes it easy for you to see where you’ve applied the material. 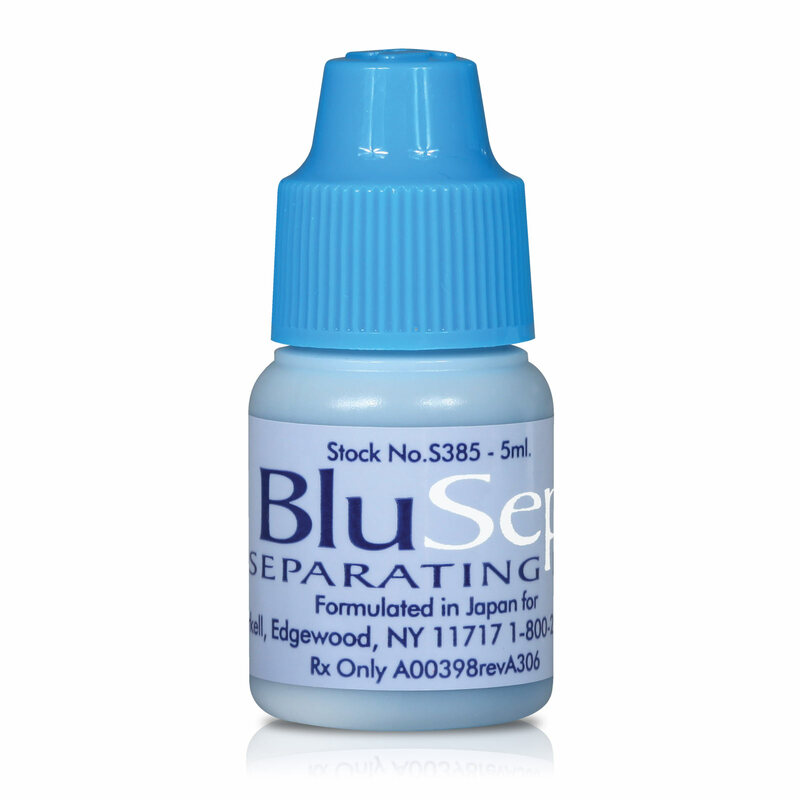 It’s water soluble and washable, so once you’ve completed bonding, Blu-Sep makes for a quick-and-easy clean-up.